Whether you are having a wedding, corporate event or any other special occasion, Supafly Omaha DJs should be your first choice for entertainment. This mobile DJ company is as versatile as you need them to be, playing in a formal or nightclub style. These DJs focus completely on their customers and on the response of the crowd, providing a “tastefully interactive” style that gets everyone involved in the fun. Call and book them today to make your event even more special. 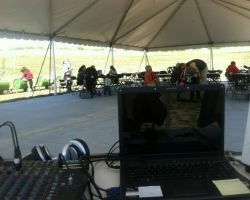 DJ JP Cruise of Crusin’ Music has provided entertainment at a variety of events, specializing in weddings. 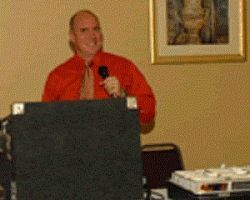 The former radio personality has all of the charm you would want in your wedding DJ and MC. Reviews have said that not only is this DJ one of the best in regards to playing music and interacting with the guests, but she pays special attention to the bride and groom, working with them to design services that they will love and remember forever. 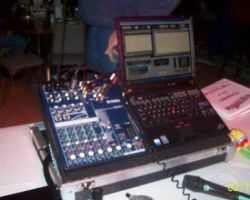 Hiring a professional entertainment company guarantees the success of your wedding reception, which is why many couples hire Midwest Mobile DJ. The company is known for playing the best music and using their MC talents to make the atmosphere fun and exciting. As an Omaha DJ, this company knows not only how to entertain, but how to do so at weddings. You will have control over the playlist, they will assist you in the flow of the event and you will work together to make your night one to remember. Planning a wedding can be expensive when you consider simply the number of expenses, but there are ways to save and cut costs, like when you book a DJ for example. 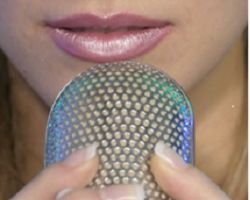 Affordable Karaoke & DJ Services offers the very best quality entertainment for events like weddings, anniversaries, proms and more for affordable prices. You can reserve this company for hours of fun with your closest friends and family without worrying about going over budget or compromising the quality of the services. Finding great entertainment doesn’t mean finding services that will cost you an arm and a leg. All-Star Productions offers the very best quality entertainment for some of the most affordable rates in the industry. For 6 hours of entertainment, you will only pay $650. This includes having great music as well as having access to all of their state of the art sound equipment for making toasts. These DJs will also act as the announcers and MCs to guide the guests through the event smoothly. 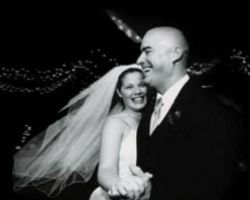 An Omaha disco jockey with over 20 years of experience knows the structure of weddings, knows how to please a crowd and get them on their feet all while offering personalized service to clients. This is exactly what In Stereo does for their clients. With over 20,000 songs and the ability to read the crowd to better direct their services, hiring this company guaranteed that you and your guests will have an unforgettable celebration. Experience, professionalism and service are the focus of this company. By using the latest equipment and providing a massive selection of music, Complete Music is able to provide the highest quality entertainment for weddings, parties and other special occasions. 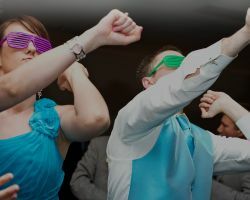 Not only will these professionals play great music that gets the crowd involved but they will also act as the MC to ensure your guests are moving from each aspect of the wedding on schedule. There is nothing more relaxing and enjoyable for the couple than being able to trust the entertainment with the flow of the event. 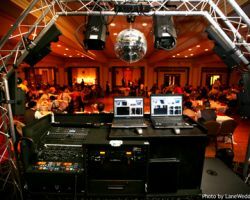 There are incredible benefits that come with hiring one of the professional DJs in Omaha, NE. A Sound Impression has a vast collection of music that allows them to play tunes that suit the taste of any couple and any event style. They also know how the flow of a wedding should go, so they assist in every way they can to ensure the couple is enjoying the night while they direct guests. If you would also like videography included in your package, this company offers that as well as DJ services.